Rebecca, 22, is a secular, Jewish, Parisian, law student. After the January Paris terror attacks, and in an increasingly violent and anti-Semitic context, she questions her identity. Has she become a target in this country she so dearly loves? 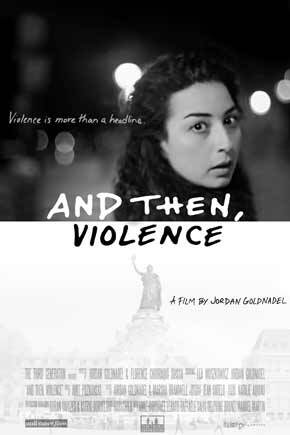 Jordan Goldnadel graduated from the prestigious TISCH School of the Arts at New York University (NYU) with high honors, in 2011. Jordan directed several short films including EDEM (16 min), which was screened at the Emerging Filmmaker’s Showcase of the American Pavilion at the CANNES FILM FESTIVAL 2009. His thesis project, THE BOY & THE CHESS PLAYER, won the NYU- TISCH Narrative Allotment to be made and was screened at the Holocaust Memorial Day Ceremony in Tel Aviv in 2012 and at a Homage Ceremony after the terror attacks in Paris in January 2015. He now owns his own production company, THE THIRD GENERATION, based in Paris and is now developing two new feature films.